I recently spent the weekend in my hometown of Reading visiting my parents for Mother’s Day and taking Jenny to Nirvana Spa. Whilst in the Oracle I noticed a new shop had opened up and was really excited to see it was Kiehl’s. I’ve heard a lot about their skincare and have read review after review but having never visited a shop or seen the products in real life, I’ve never purchased anything. Whilst having a browse in the shop, the sales assistants asked if we wanted to have a skin consultation. 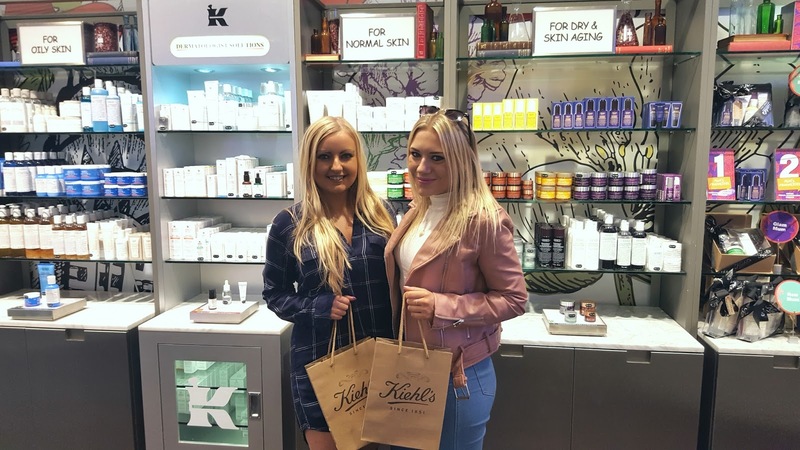 I was a little reluctant as we didn’t have much time before needing to leave for the spa but we agreed as we both wanted to learn more about the brand and their products. The consultation started with a discussion about the condition of my skin, which I said I thought was extremely dry. Two little patches were then put on my skin, one on my forehead and one on my cheek to check where my skin was on the dry-oily scale. As I thought, mine was very very dry! I thought this was a really clever technique as I’ve heard so many stories from friends who thought they had one skin type only to be tested and find out they have another. It was also good that they tested both the forehead and cheeks, as we know our skin isn’t always the same all over. 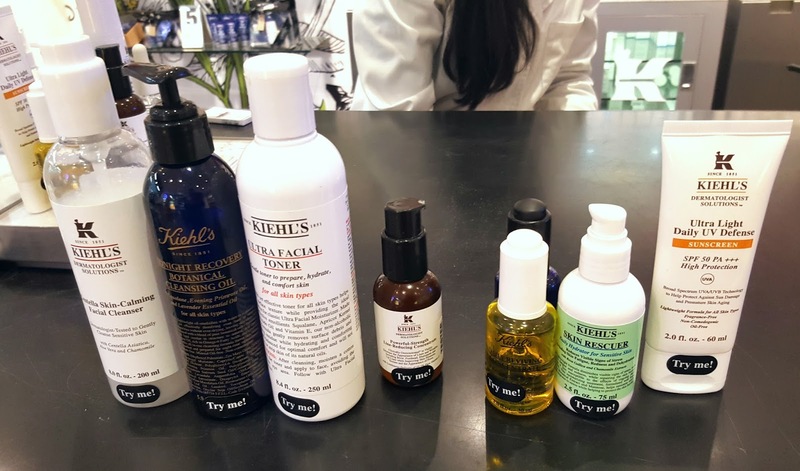 Once we’d had a chat about my current skincare routine, my skin problems and what I’d like to gain from a routine, the sales assistant gathered a load of products for me that would suit my skin type and needs. We went through each one, what it does, why to use it, where to use it and the ingredients it contains and what each one does, before it was tested out on the back of my hand (I’ll list all of the products recommended to me at the end). When we were talking through each one, the knowledge of the sales consultant really was astounding. Because she had such an in depth knowledge of skincare, ingredients and what we should use to tackle certain problem areas, I really trusted her advice. 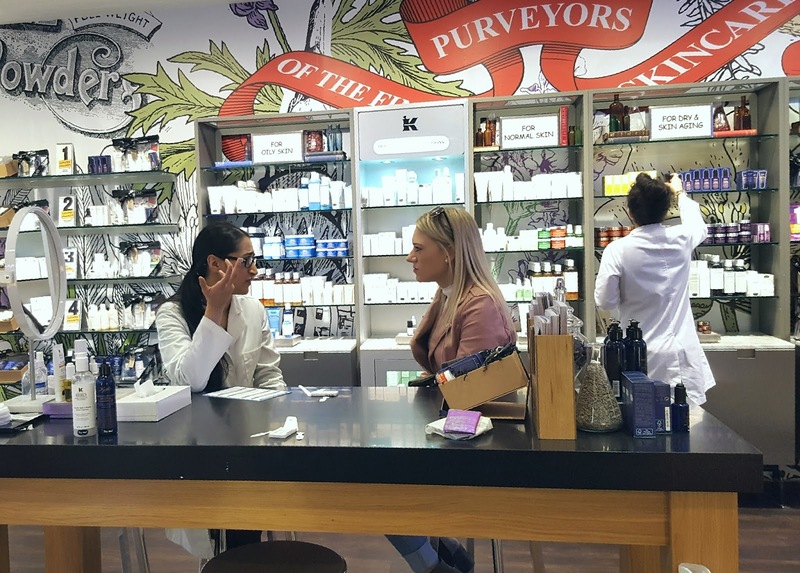 The whole service at Kiehl’s with the personalised consultant really helps to sell their products, particularly as the sales consultants are so passionate about the products and how they work. I was also given a skin care consultation guide to complete which had details of how to build up your skincare routine, what type of products should be included and in what order. I found this really helpful as sometimes I get so overwhelmed with all of the products and where they should fit in a routine. I also never knew what order you should apply them all in either so this was great. The booklet also contained photos of all of the Kiehl’s skincare products and the consultant circled all the ones she recommended to me along with the prices. At the end of the consultation, we were given a couple of samples of the products that were recommended which I really really like. I feel like it’s really unusual for places to give out samples anymore but I imagine this is because people take advantage. 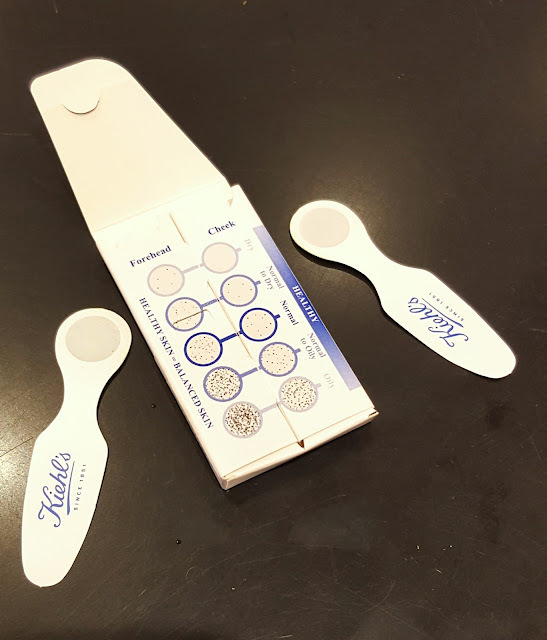 I think if someone spends 20 minutes learning about the products, it’s a lovely gesture from the brand to provide a couple of samples, especially when the skincare has a high price tag as it allows us to try it out beforehand. Plus every single one of the masques! I’ve been thinking a lot about the elements of my skincare routine that I’m not happy with and have decided that after this consultation, I’m definitely going to buy the Midnight Recovery Concentrate and Ultra Facial Deep Moisture Balm. I’d also like to try out the exfoliator and masques but that’s definitely for a later stage as I don’t like to mix up my routine too much at once. Let me know if you have any Kiehl’s recommendations!